I need to vote for myself. 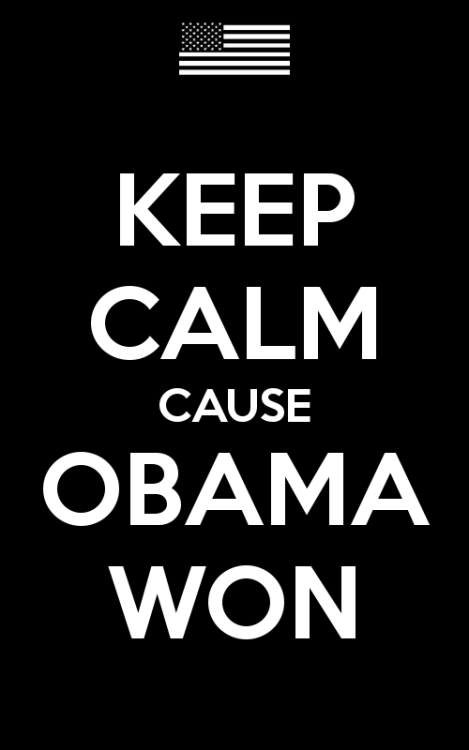 Last night, just over half the American people re-elected President Obama to stay in office for the next four years. 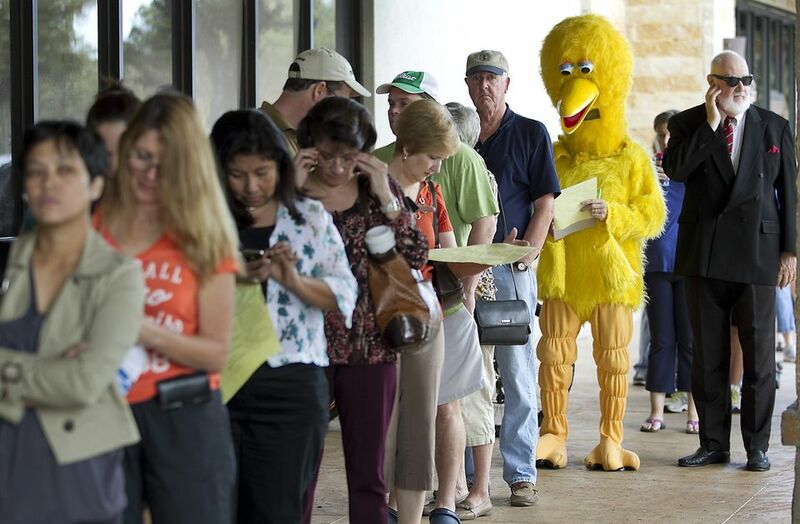 While I wrote in my vote for Big Bird just below Rosanne Barr’s name, I still feel a sigh of relief that Obama is in office for birds everywhere. While Obama is no Big Bird, he at least won’t be pulling the rug out from Big Bird’s home or treating hens like second-class citizens. And with such publicity, Big Bird has a good shot for 2016. But with Obama winning by just a slight majority, that leaves the almost-majority minority who voted for Romney, Barr or Big Bird. And with social media basically taking over most of our lives, it leaves million upon millions of Americans both unhappy and vocal online. If the months of build up weren’t bad enough – inundations of political ads and everyone on Facebook on Twitter suddenly having strong political opinions – the aftermath of the election on social media is one last tidal wave. Who would have thought I’d miss those Facebook friend posts of someone’s lunch or baby? Those have been replaced with joyful exclamations and doomsday prophecies based on the same election result: nothing changing. In spite of the billions of dollars spent on campaigning for all parties and issues, we have the same president and we will all keep pushing forward. We have all been living our lives, then election year comes, and we’re all convinced that our lives will implode if our chosen candidate doesn’t win. Big Bird didn’t win, but I still trust our president to fight for hen rights. I just could not support Romney after his true colors came out about Big Bird. 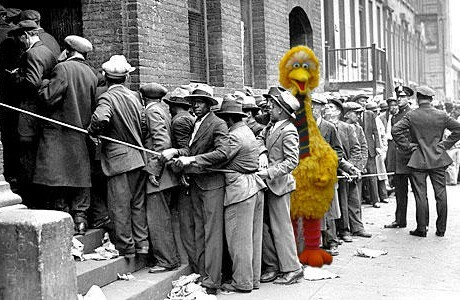 If Big Bird was on his chopping block, I could only shudder at the thought of what other fowl he’d be after next. Thankfully I don’t have to worry about that, at least for four more years. One (former) Facebook friend posted a lengthy paragraph about all the different ways the result hurt her, prophesizing the ways America would crumble before us. She ended her silly tirade with, “Tonight, America destroyed America.” I would post her paragraph verbatim, but she immediately defriended me after my wine-induced (yet accurate) comment. I’m not sure what propaganda she was fed from Fox News, her parents and her sugar daddy husband, but I took it upon myself tell her she was being melodramatic and inaccurate by commenting, “Melodramatic and inaccurate!” Seconds later – private message! She writes, “I have ZERO reasons to remain friends with you.” While we may not have been close friends, 6 years of public schooling, classes together, smiles, pleasantries and yearbook signings all went out the door with that three-word retort. I hope she changes her “Keep Calm and Vote Romney” profile picture before our high school reunion.